By MJW, October 29, 2016 in Plugins - Publishing ONLY! This is a rather specialized plugin. 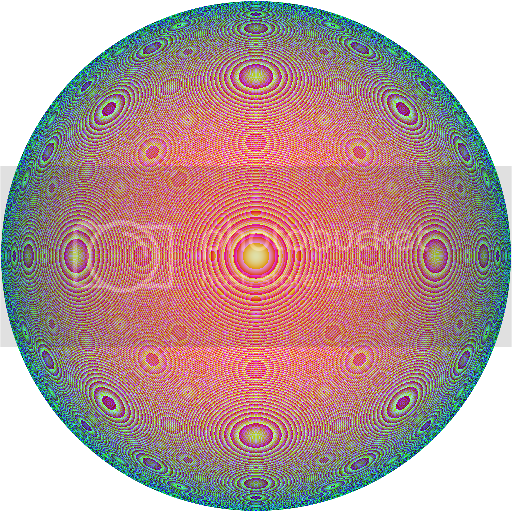 It generates a spherical height map for use with my various height-map plugins. Though it logically fits in the Render submenu, I put it in the Height Map submenu instead, since it's only really useful with those effects. Render Sphere Height Map renders a 24-bit height map for a sphere. 510: Sets the diameter to 510 (so the radius is 255). Minimum Selection Dimension: Sets the diameter to the minimum of the width and height of the selection. Selection Dimensions (Elliptical): Sets the horizontal diameter to the width of the selection and the vertical diameter to the height of the selection. 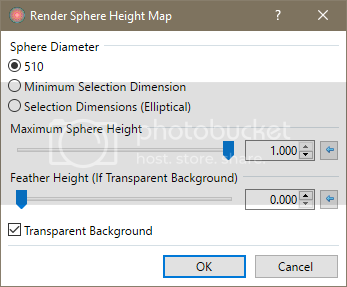 Maximum Sphere Height: Specifies the maximum height of the rendered sphere, relative to the full 24-bit depth range. Feathering Height (If Transparent Background): When used with a transparent background, specifies the maximum height at which the sphere begins to become transparent. Transparent Background: Specifies that pixels outside the sphere should be made transparent instead of black. The reason the sphere is scaled to the selection instead of having the size specified is mostly historical. I may decide to change it later, especially if I make this a Visual Studio (instead of CodeLab) plugin, so I can provide both options and disable the inapplicable controls. As a longtime fan of Texture Shader I can't overlook your latest two plugins, MJW. I can only somehow imagine their possibilities, but I felt I had to say something in praise of your coding and artistic skills, even when I can't make use of them due to the still outdated hardware/software I use. Kudos! Thank you, Maximilian! If you can install Visual Studio in some form on your system, I'll be happy to provide the VS project code. There are some things that use features not available in older PDN versions, but I think they can be gotten around without too much difficulty. Perhaps I will get around to making 3.5 versions myself, but I've been busy with other things. I wish you'd get a newer system. Refurbished computers are very reasonably priced. I realize, though, that there are often more pressing needs for money. That's true, but the version that Maximilian could use on his outdated system is, I believe, VS Express.